The 20th century saw the transformation of the district. Morden Underground Station (actually in Merton parish!) was built in 1926 among farm fields. Although neighbouring Merton Park had been developed by John Innes from the 1870s, Morden remained a village. Some development was taking place in the Ravensbury area of Morden before the arrival of the Underground. Ravensbury Park House had been built in 1864 by George Parker Bidder the railway engineer, but the house and most of the land was sold in 1896 on the death of his son. The house was purchased by the Catherine Gladstone Homes (see Bulletin 141), which survived until 1940. The 1910 Valuation records building plots in Milner Road, Morton Road and Seddon Road and houses in Pollard Road and Wandle Road (see Mrs Vandervlies’ recollections in Bulletin 127). The St Helier Estate was the largest development in Morden. It occupies some 825 acres, of which 322 acres are in Morden, acquired by the London County Council between 1926 and 1929. By 1939 over 9000 dwellings had been built on this land, 3,500 in Morden. Land surplus to LCC requirements, around Central Road and Green Lane, was acquired by the Trustees of the Haig Homes for disabled ex-servicemen. 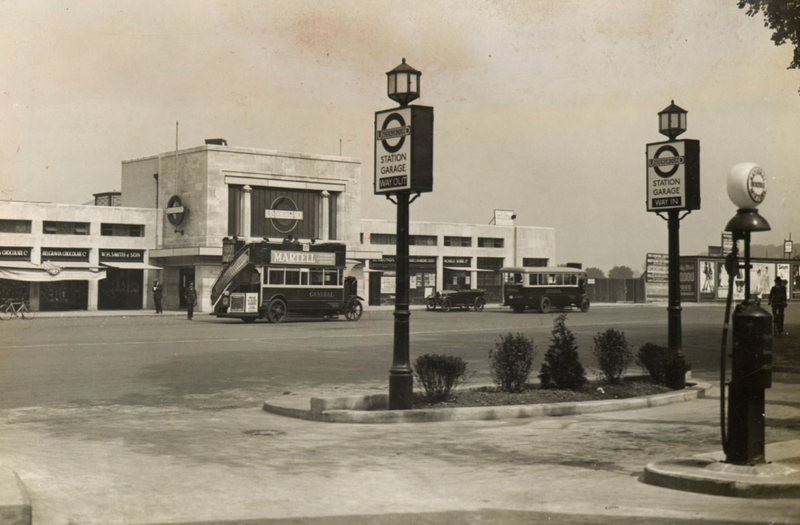 During the 1930s Morden was transformed from a village to a suburb. In the Hillcross Avenue area Messrs W H Selley built their so-called Merton Park Estate, while G T Crouch Ltd laid out their Morden Park Tudor Estate around Tudor Drive, and Wates built in the Garth Road area. As well as the big estates, smaller companies built single roads, such as Mr Warren’s houses in and around Arundel Avenue. Building was halted in 1939, but after the War, council houses were built in Tudor Drive, and flats at Edinburgh Court and Thornton Court in Grand Drive. Although a section of Morden parish was transferred to the new parish of St Peter St Helier, consecrated in 1932, the remainder was not broken up into separate parishes, as in Merton and Mitcham. Instead, daughter churches were established from St Lawrence – St George Central Road in 1932, Emmanuel Stonecot Hill in 1950, the present church building dating from 1962, and St Martin Lower Morden (see Bulletin 164) in 1957. The parish became a Team Ministry in 1988. Morden’s Womens Institute(see Bulletin 171 ) was founded in 1919, and currently meets in the Parish Hall.